Cost: $225 plus online registration fee. Scholarships are available. The workshop is limited to 20 participants. For more information contact noaacamp@uw.edu. 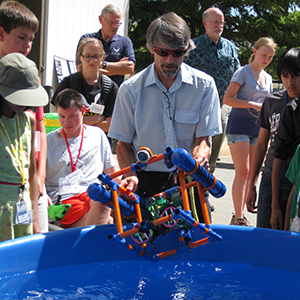 Atlantis STEAM is an offshoot of the Atlantis ROV Team, a high school robotics team from South Whidbey Island dedicated to hands-on outreach, science education and encouraging gender equality in science, technology, engineering and math (STEM).